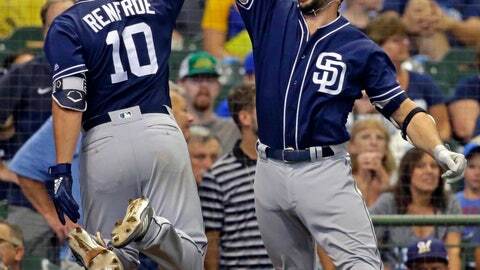 MILWAUKEE (AP) — Hunter Renfroe’s power surge is a welcome sight for the San Diego Padres. “Part of it is guys clicking at the right time. Part of it is guys just saying, ‘Enough was enough. It’s time to go play winning baseball,'” Padres manager Andy Green said.